The work of Colston's Girls' School is made possible through the outstanding support and expertise provide by our sponsors, the Society of Merchant Venturers and the University of Bristol and is brought to life by a team of excellent teachers and leaders. The sponsors are the key to success of Colston's Girls' School and are what makes our school unique, both locally and nationally. They are an essential part of our school vision, able to give our students exceptional chances, experiences and opportunities unavailable elsewhere. 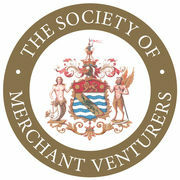 The Society of Merchant Venturers (SMV) is a philanthropic organisation whose increasingly diverse membership works with and supports people and communities from the wider Bristol area through education, care for older people, charitable giving and social enterprise. In education, SMV’s simple but highly ambitious vision is to transform the life-chances of students from the richly diverse set of schools within Venturers Trust, both during their educational journey and beyond. The Society’s expertise in education spans more than four centuries and today, the commitment is practical as well as financial, with many of its members taking active roles in the governance of Venturers Trust and the wide range of schools within the Trust. SMV firmly believes there is nothing more important to the health of our communities than outstanding education and training in life skills for young people. To learn more about the Society’s most recent activities, please read their Annual Review. The University of Bristol ranks as one of the top 10 universities in the UK. It is actively involved in the Governance of our schools and in the development of the curriculum and allows our students and staff to access its excellent facilities. The university also offers support in other areas such as student mentoring, subject expertise, higher degree and research opportunities for staff at Venturers Trust and an innovative, exciting and inclusive programme for students as part of the university’s commitment to widening participation and access to higher education. The university provides extensive support and opportunities for our Sixth Forms including scholarships, preferential offers of grades to gain a place, with the additional possibility of bursaries to support undergraduate degree studies.